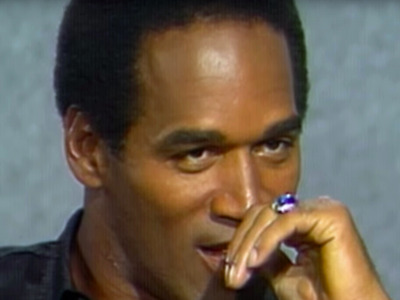 “O.J. : Made in America” is hardly just about O.J. Simpson, which is what makes it so powerful. Director Ezra Edelman has used Simpson’s rise and fall to examine the troubled relationship African-Americans in Los Angles have had with the police for decades, and he does so with moving storytelling. In part one, we see the Watts riots, a powerful moment in showing the disconnect between citizens and police, but in part one, which aired Tuesday, we are not just shown the infamous Rodney King beating and the riot that followed when police officers were found not guilty. We also see other incidents in which the actions of police in the black community didn’t get the press of the King beating but helped build the powder keg that would ignite following the acquittal of those particular officers. There’s the 1979 Eula Love incident in which a dispute over a $69 gas bill led to two officers emptying both of their six-shot revolvers on Love, killing her. Then 13 days after King was beaten by police, 15-year-old Latasha Harlins, following an altercation with a Korean-American store owner named Soon Ja Du, was shot and killed by Du. Du only received 5 years probation and 400 hours of community service, and no prison time, for the death. It’s important that Edleman educates us about these landmark moments in LA because to tell the O.J. Simpson story, you also have to explore the community not far from his home (and how he kept a blind eye to black residents until he needed them). By part two, Simpson is retired from the NFL and living comfortably far away from any police brutality. In fact, he’s built a great relationship with the cops in Brentwood, where he now lives with his new wife, Nicole. That relationship with the police would come to benefit Simpson when Nicole started making 911 calls about Simpson beating her. It wasn’t the first time. It was actually the eighth time officers had responded to Nicole’s calls to come to the house. The officer of the 1989 call recounts the incident for the documentary, saying that Simpson fled in his car. Thanks to his relationships at the LAPD and some sweet-talking to Nicole, Simpson only had to do 120 hours of community service. Nicole even spoke directly to the CEO of Hertz to let him know that all the stories about Simpson being a wife-beater were false. So as Edleman builds the narrative about why the black community decided to let LA burn once more following the Rodney King beating verdict, he’s also showing how Simpson had escaped the colour of his skin, at least in one sense, by getting a slap on the wrist for his abuse (when the average black man in LA would face much worse). But things only get more chilling. Simpson’s infidelity is less hidden. Once he even says he’s with another woman because Nicole has gotten “too fat” from her pregnancy. Nicole finally separates with Simpson, having an on-and-off relationship with another football great (and Simpson friend) Marcus Allen. There’s even a recollection in part two of a former acquaintance of Nicole’s, who describes how Simpson once showed up at Nicole’s house and revealed that he spied on Nicole and the man she was having relations with the night before. Simpson is now unhinged. For a man who craves control, not being able to have Nicole under his spell any longer has made him unstable — as we can hear in those earlier horrific 911 calls in the movie. Nicole divorces Simpson on May 22, 1994. Less than a month later, she and Ron Goldman are found dead on her front steps. Part three of “O.J. : Made in America” airs on ESPN on Wednesday.